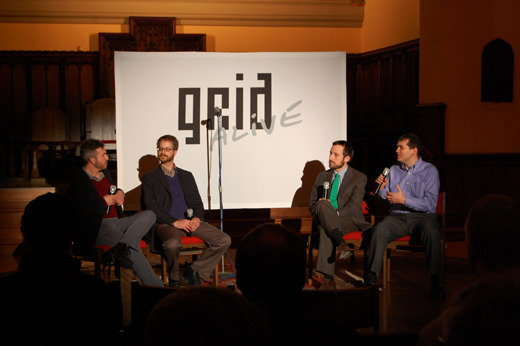 Thanks to everyone who came out last night for the return of Grid Alive. We had a great evening with our guests and hope you enjoyed the discussion. From this month’s cover story, we had Bob Fishman from the Resources for Human Development and Denenne Brockington from Equal Dollars. The pair talked about their work with Equal Dollars and how the alternative currency is an “equalizer” among community members, eliminating the competition associated with U.S. currency. We also had Nathaniel Popkin and Peter Woodall from Hidden City reflect on last month’s preservation issue. They talked about revitalizing Philadelphia’s urban fabric, as well as the work of Hidden City Daily and the importance of robust, local journalism. 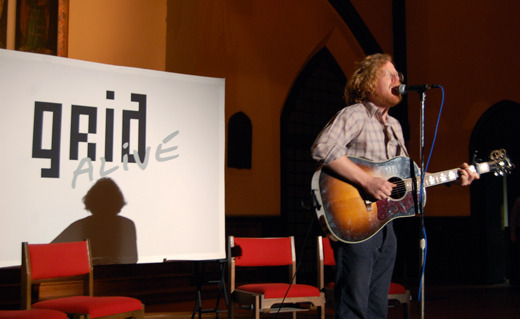 Other guests included the Philadelphia Seed Exchange, which hosted a seed share, and Sean Hoots who treated the audience to a special acoustic performance. For those who missed the event don’t worry, we’ll have a podcast of the evening up shortly where you’ll be able to hear the full interviews with our guests.